Have allergies ever held you back from doing something you love? At this time of year, allergies are lurking EVERYWHERE, and if you’ve ever had to deal with the resulting itchy, watery eyes, sneezing, or a runny nose you know it’s tempting to hide through spring. I have actually been quite lucky the last few years with no allergy symptoms at all, until this year. After cleaning up the house and getting rid of dust, dog hair and who knows what, I could hardly breath. I went to the ER and was told to start taking allergy meds on a regular basis. I guess this is a bad year for allergies. This year I won’t be letting allergies keep me mostly indoors, and I have just the toolkit to help me do it. What’s in my allergy toolkit? First, Claritin Rapid Dissolve. 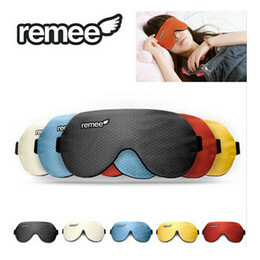 It provides 24-hour allergy relief of itchy and watery eyes, sneezing and a runny nose. Claritin Rapid Dissolve is great for on the go. It dissolves instantly, no water required. Next for fast relief of eye allergy symptoms at home or on the road, I’ve got hydraSense Allergy Therapy – an eye drop formulated to relieve allergy symptoms. The yard – It’s great we don’t have to shovel snow anymore, but it also means it’s time to get out and cut the grass. The job goes much faster without having to stop every few minutes to blow my nose. If grass is one of your allergy symptoms, have a fast-acting Claritin handy before you head out the door. The attic – I could give you a million excuses for not doing my spring cleaning – but dust allergies won’t be one of them. Spending time in dusty spaces can leave me feeling awful. This year, I won’t have to hide from a dusty corner. When I feel symptoms starting, I can take a Claritin anywhere and everywhere (it dissolves on the tongue – no water needed!). The park – Sometimes it feels like the park is actually just a playground for pollen, and red itchy, watery eyes are always invited to play. I like to keep a bottle of hydraSense Eye Allergy drops in my bag for this. The bottle is small enough to not take up too much space and I can apply the drops on-the-go easily. I absolutely won’t be missing out on our first warm days because of allergies. Have they ever held you back? What did you do about it? We use the Claritin Rapid Dissolve now too and it has changed springtime for us! Our allergies were really horrible, but this works like a charm! I’ve used Claritin, especially during our travels, and it has saved me from having a crappy day on so many occasions! I’ve never tried Claritin, but during allergy season, I’m all about some rapid dissolving! My allergies have been especially awful throughout the last month! I definitely need some relief and think Claritin can do the trick. I bought the rapid dissolve Claritin by accident and absolutely love them now! I find they work way faster than regular capsules. I can now visit my sister and her cat without suffocating, lol. I have use Claritin when needed and it works great. I don’t hold back because of my allergies. I can’t avoid the park or the yard, simply because I have a boy that loves the outdoors. Our allergies are out of control if we don’t take something. We always have Claritin in stock at home. My husband and my eldest son have allergies to pollen. Now that that season is about to start, I have prepared my anti-histamines ready for any emergency. I have the absolute worst allergies as we speak! Claritin is always a savior for me and my kiddies! Thankfully and knock on wood, we are an allergy free house. I have a ton of friends who had suffered for years and they swear by Claritin. I use Claritin occasionally and find it works great. I have some allergies but they are not severe. Oh,I certainly heard you Spring can bring so many allergies but you can always count on fast-acting Claritin,I love it,works so well! I find the basement is also a problem area for me, but thanks for the list.